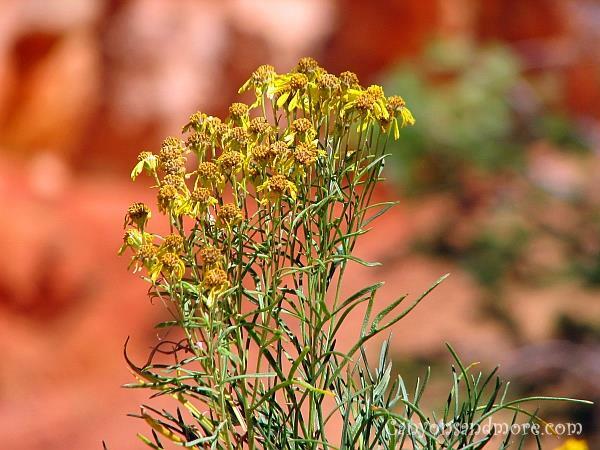 The color of yellow is so bright and cheery and reflects the color of the warm sun. 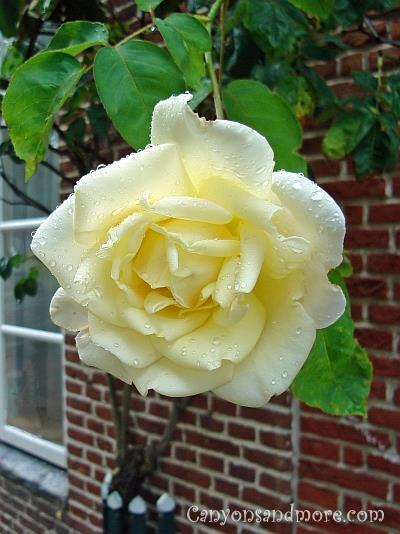 During the blooming seasons, these flowers lift your spirts and add so much beauty to gardens, yards and fields. Aren’t these flowers in the image above lovely? While walking along the northern coast of Germany at the Baltic Sea, an area known as Dänisch Nienhof has steep cliffs next to the rocky beach area. 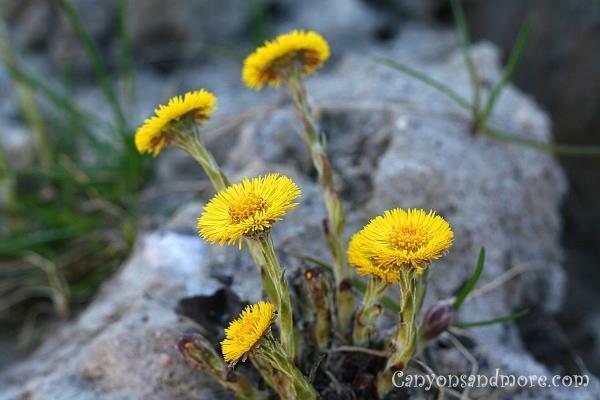 You can find many of these yellow yellow flowers “Tussilago farfara” or also known as “coltsfoot” blooming between the rocks of these cliffs. This field of sunflowers was a lovely sight to see at the end of summer last year and seemed to be the perfect time to photograph them. 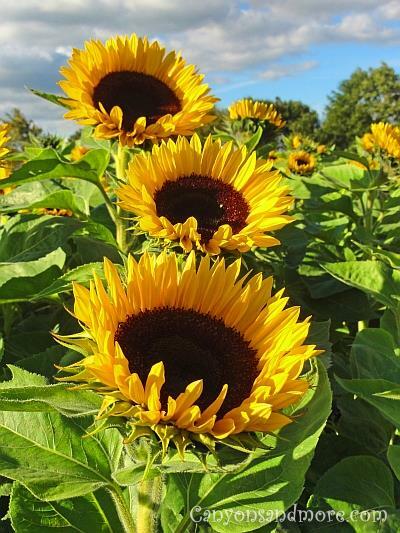 There were hundreds of perfectly bloomed and really large sunflowers holding their heads up to the warm sun and it was a wonderful feeling being amongst them and sharing this moment. 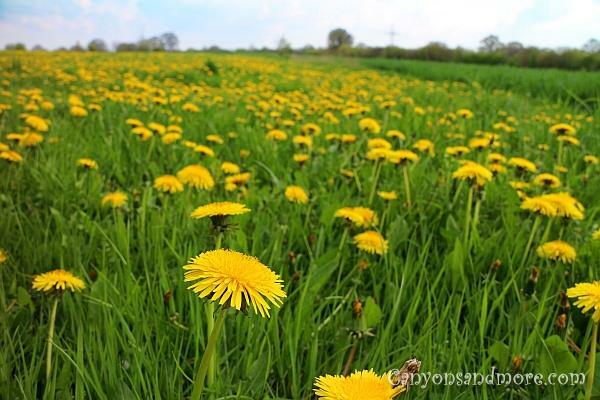 These dandelion blooms look like miniature sunshines in a field of wild flowers during the summer. 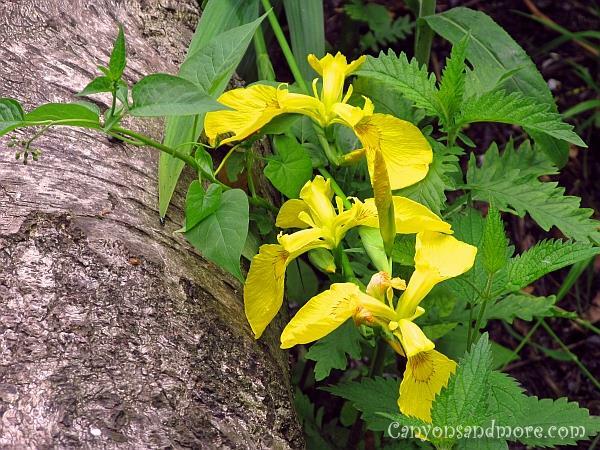 While walking along the Great Segeberger Sea near Bad Segeberg, Germany, many of these pretty yellow iris flowers were seen blooming along trees close to the water. This daisy seems to be as bright as the sun itself. 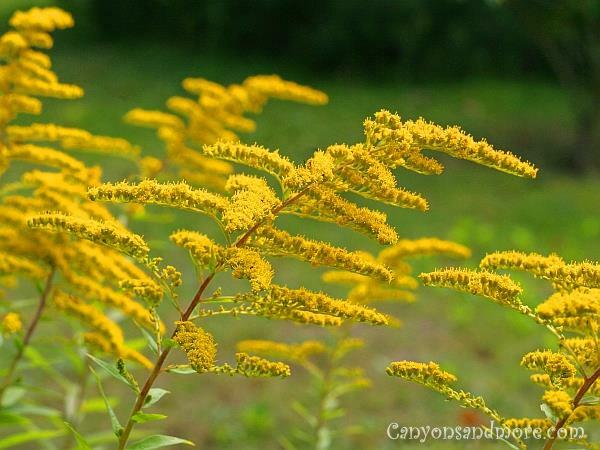 Every year in the late summer months, the goldenrod blooms a bright golden color, almost as if it is welcoming the fall with its warm color. After these bloom, you can leave them standing for the winter. When the winter frost covers the dried out bloom, it is also a beautiful sight to see. 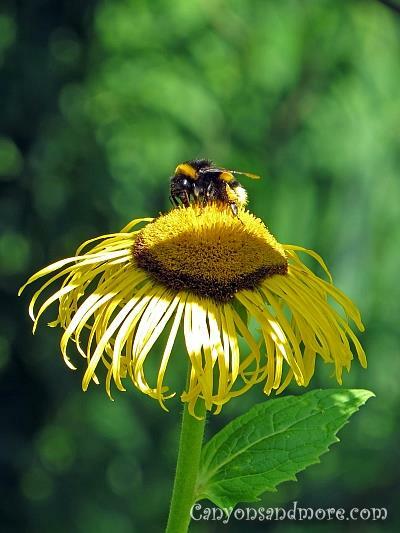 A bumblebee is busy pollinating this pretty summer flower. This image was made at the Bryce Canyon in Utah. 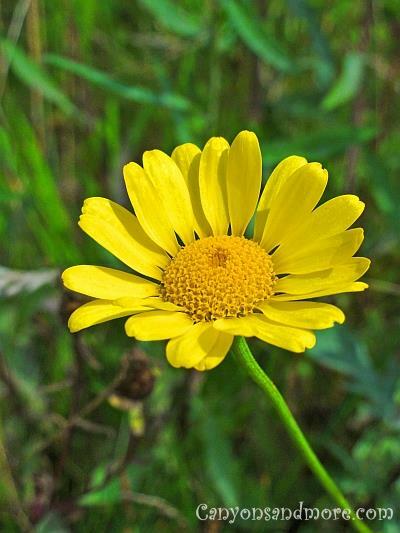 Because of the high temperatures and the minimal amount of rain, flowers like this do not have a chance to bloom long before they begin to wilt in the hot summer sun. After an afternoon summer rain, water drops were still hanging on this beautiful bloom in Friedrichstadt, Germany. 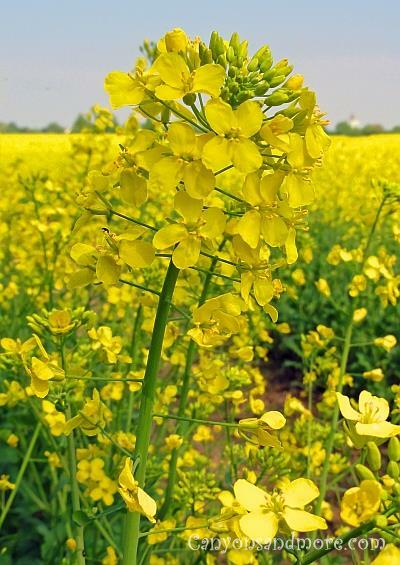 Canola blooms not only makes a useful and nutritious oil but add so much color to fields during the later spring months. This field is located near Bad Segeberg, Germany. The northern half of Germany is covered with these fields in May for about a 2 week time. The view is so splendid and there are many tourists that come to the area during May just to see them.